If you’re not taking advantage of the unused space outside your facilities to reach out to passersby and street traffic, then you’re letting opportunities walk right on by. 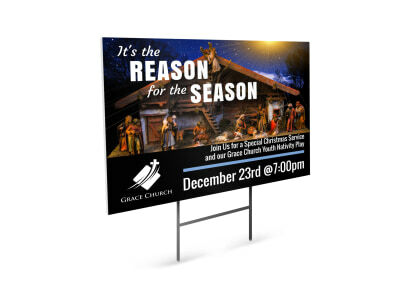 With our religion and organization yard sign templates, customizing yard signs that call out to potential patrons, congregants, and others is an easy process. 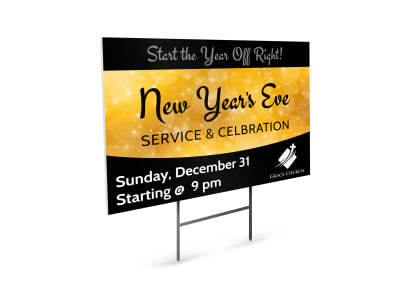 Select images, artwork, graphics, and text for your design, and then hone in on special touches using our online editor to make your sign all it can be. 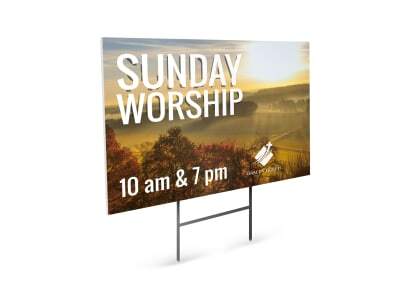 Print out your finished yard signs from your own printer, or take advantage of our printing services to give your signs a polished look. 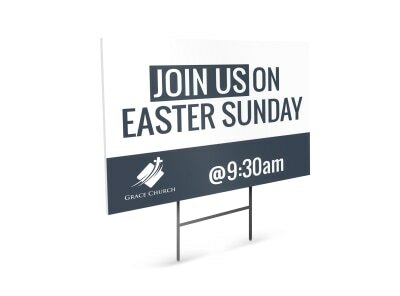 Is your church launching a new sermon series or youth ministry? 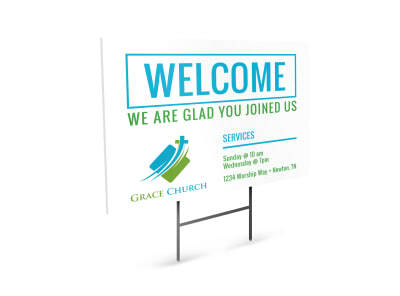 Maybe you’ve just opened up a brand-new food pantry for struggling families in your community? 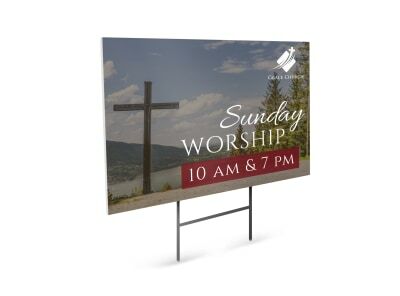 Get the word out by designing an eye-catching set of church yard signs and placing them along the street in front of your building and also distribute them amongst your congregation. 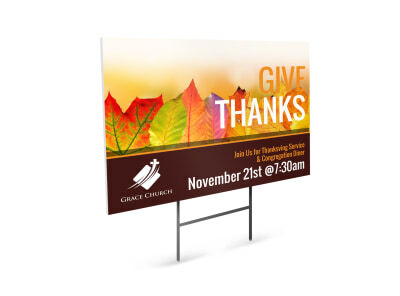 Use MyCreativeShop’s online editor to put your personal touch on one of our professionally-designed templates. 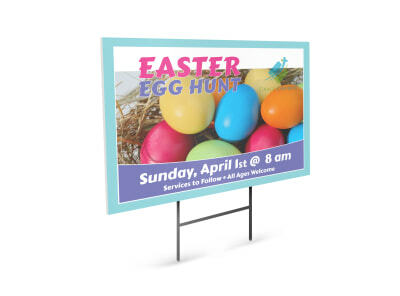 If you’re feeling really inspired, attract extra attention by supplementing your yard signs with a flock of the always-popular plastic pink flamingo lawn decorations (because who can resist a pink flamingo?). 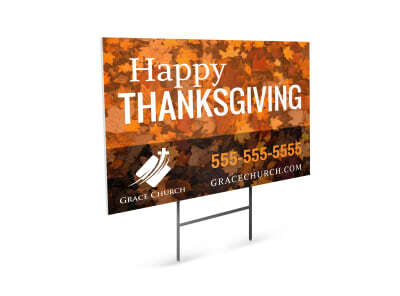 We can even print them for you (the yard signs, not the plastic flamingos) – what are you waiting for?